Encaustic from the Greek word ‘enkaustikos’, meaning to burn in, is an ancient technique, dating back more than 2000 years to Roman Egypt where the Fayum portraits, were found in the late nineteenth century. These portraits depicting the dead, in earlier life, were attached to coffins or mummies and were to take the individual into the afterlife. From this period the use of Encaustic painting declined as artists developed less time consuming technologies such as tempera, fresco, oils and most recently, acrylic. 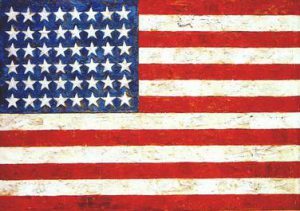 Then, in 1954 Jasper Johns rediscovered its flexibility and possibilities and used Encaustic in his seminal painting of the American flag, using wax over a collage and in many other works. 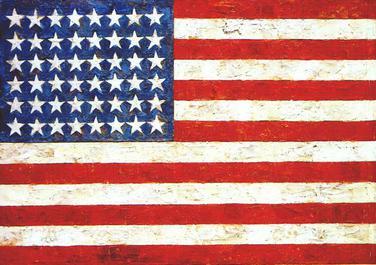 Since then the popularity, particularly in the US, of Encaustic painting has blossomed together with a whole industry providing wax and numerous tools suitable for hot wax Encaustic painting is a technique of heating a mixture of, principally, beeswax, adding pigment and applying it to a hard surface such as wood or board. To create paint, powdered pigment, oil paint or oil bars can be added to the beeswax medium or coloured blocks of wax medium is available through art suppliers. Painting with wax is an entirely different experience to other mediums. The immediacy, the unpredictable way in which the wax responds to heat, the chance and accidental effects are both a gamble and a thrill.